Poised, balanced and competent are all qualities that a BMW possesses. The German manufacturer has a knack of hitting that sweet spot in the luxury car market time and time again. 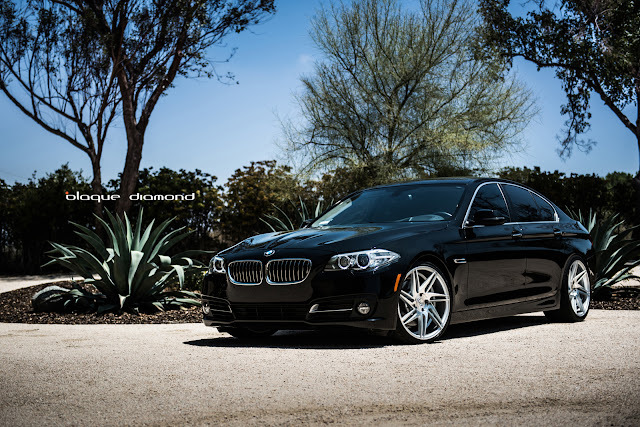 The 535i is packed with a 3.0L turbo charged engine and 17 inch alloy’s. A car of this caliber deserves a set of wheels to match its opulent personality. We fitted a set of 20 inch staggered BD-1’s in silver with polished face to it. After the wheels were fitted, the BMW offered comfortable and competent handling. The driving impression is crisp and balanced down the straight and responsive and controlled around the tight turns. The BD-1 is a 7 spoke twisted design which is crafted to be both performance enhancing and aesthetically pleasing. They are available is a range of finishes; silver with polished face, matte graphite with machine face, full matte graphite and semi matte black. Just added to the BD-1 collection is matte black with gloss black lip. Audi has always been synonymous with luxury driving and upscale vehicles. And the Allroad is no exception. Based off the A4 model, it comes with a 2.0L, turbo engine with an 8-speed transmission. But its real strength is in the high-end materials used to create this masterpiece. The standard 18 inch alloy's didn't do it justice. It wasn’t a complete masterpiece without a new set of rims. We added a set of 20 inch staggered BD-3’s in matte graphite machine face and headed straight to Malibu to test them out around the canyon roads. The winding pavement was a breeze for the Audi. It was compliant with road imperfections and adjusted its level of stability accordingly. The sporty car required little effort to steer and felt lightweight after the new BD-3’s were fitted. The Hyundai Genesis has been taking the car market by storm. It has all the styling and features you can find on a Mercedes, BMW or Lexus. It is a sporty rear wheel drive sedan with a long wheels base and independent suspension. We took advantage of these features and fitted at set of 20 inch staggered BD-1’s in matte graphite to this sweet ride. The increase size of the rims by 2 inches gave the Genesis a unique look and braver handling. It performed elusive maneuvers smoothly without any drama. The steering was lightweight and delivered linear acceleration. The BD-1’s give the Genesis a new and fresh look while still aligning with the sporty aesthetics of the car. Lightweight and modern, there is no doubt that the BD-1’s are a positive addition to this already dominant vehicle. The Mustang has been defining American motoring for over 50 years now. The iconic pony car has a hunkered down stance that has been preserved throughout its history. Sergio is a local Los Angelian and a Mustang is the epitome of a Hollywood muscle. We fitted a set of staggered 22 inch BD-9’s in matte graphite to the stang giving it an even wider and lower stance. 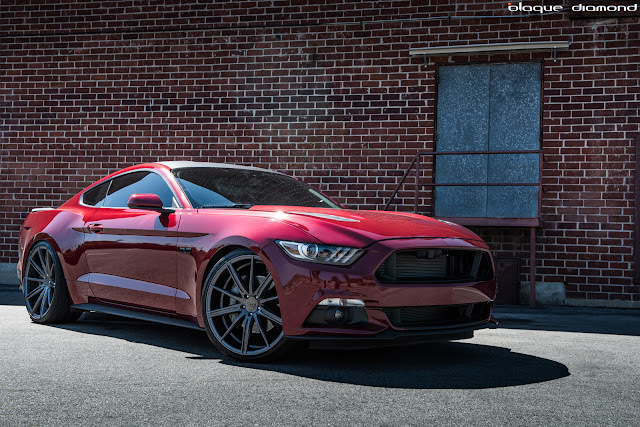 “I’m excited to have a set of BD Wheels on my Mustang. I have a road x-pipe with flowmaster outlaws, roush vents and a wrapped roof/spoiler and there’s many more modifications to come!’ Said Sergio. With the new rims fitted, the Mustang has predictable, agile handling and stays composed over the bumpy roads. And they are a head tuner as well! The BD-9 is offered in three different finishes, silver with polished face, full matte graphite and matte graphite with machine face in 22” and 24” staggered sizes.